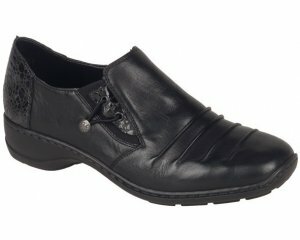 Clarks Mini Racer black leather school shoes. 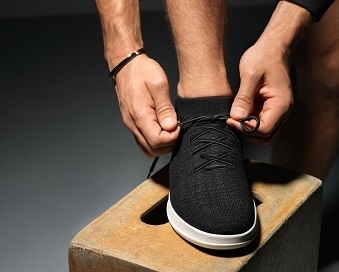 The black leather uppers feature a stitched detail and durable rubber sole with toe bumpers that help to protect against scuffs and scrapes in the playground. Lightweight and practical, they are ideal for racing around at break times. 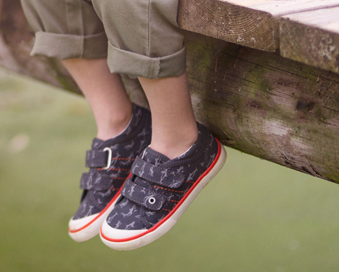 The double velcro straps allow for a secure and adjustable fit, whilst the padded heel and tongue provide extra comfort.